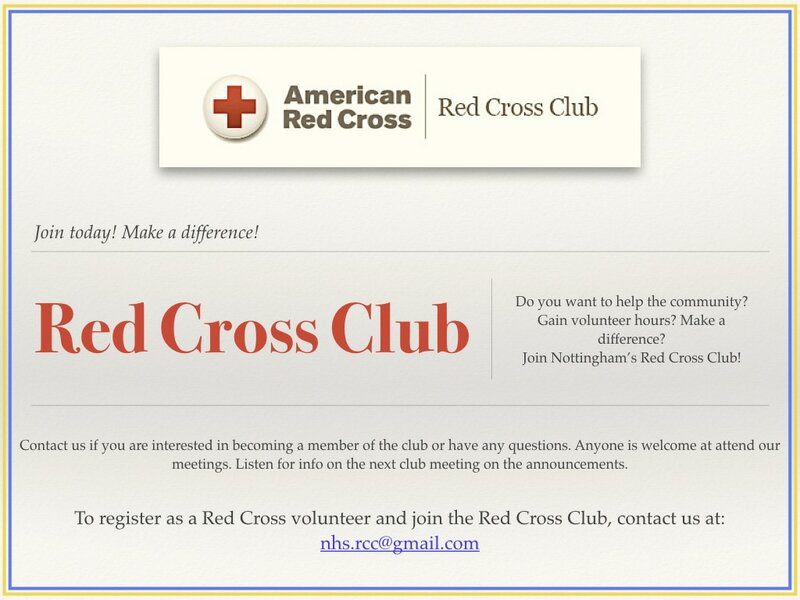 ​Introducing Nottingham’s very own Red Cross Club! The Red Cross Club’s goal is to educate our club members on how to recognize, respond to, and prepare for emergencies. Some activities may include sending letters or care packages to members of the United States Armed Forces, sending care packages to victims of disasters, and visiting disaster relief shelters. They also plan on hosting fundraisers to raise money for the American Red Cross organization. The money raised will go towards funding important services, such as providing shelters for victims of disaster.